As a computer long-time user, I believe that most computer users may meet with these problems, PC running slow, browser crashing inexplicably, homepage ever being hijacked, being worried about online tracks peeping, and so on. So if such kinds of annoying problem really happen, what should we do? Resolve the problems, absolutely! In this fast-going society, computers are so important in our daily life, while time means life, as well. Then how can we resolve all kinds of computer problems that we may encounter at every minute when we surf online or even just watch a movie? Do you try to fix the problems yourself? That’s good if you are skillful and good at handling the complicated Windows components. However, if you are not, you may take risk and your computer can be ruined under you hands, worse than before. Try to resolve your problems with some tools? Well, there are numerous applications on the Internet, including different tools for either optimizing PC performance, or terminating viruses, or fixing errors, or updating drivers, or removing unwanted programs, etc., much more than you can imagine. Some of the applications are free, and some others require payment. Before you choose a freeware and shareware, please notice that most of the computer problems, especially the virus problems are caused by the dubious freeware and shareware over the Internet. A simple click or a brief download of the unknown applications which are pre-written with malicious codes can bring disaster to your computer! Oh No! Think twice and check carefully before you download something unknown from the Internet. What about the applications which require you pay for its full version in order to provide the corresponding utilities? To be honest, it can not tell whether a paid stuff is better than a free one or not. This is because there are lots of bad guys or hackers who are good at using fake stuff to trick people for money. For example, you may have downloaded a so-called antispyware application from the Internet, or the application just comes to your computer unexpectedly without your permission. You are informed with some error messages or security warnings that require you to pay for this application for removing your system problems. Be aware that such kinds of applications can be rogue security programs actually. They can not really discover your PC problems but display false information to scare you into purchasing their useless programs. Do not fall into the scam! It is known that there have been lots of scamware, ransomware, or scareware appearing on the Internet and they are crazily spread and distributed by the hackers with the help of other malware threats like virus, Trojan, worm, rookit, etc. Not only the filed of computer security, but also that of system utilities claiming to be able to clean up registry, fix errors and so on. The hackers are creating a bigger and bigger scam circle for its malicious and nasty marketing. Therefore, it is necessary when you are trying to find some applications to resolve your PC problems. Generally speaking, a well-known application may be safer for you to run on your computer for the resolution of the PC problems. However, there are also many different applications of different functions over the marketing. You may take a lot of time to pick one that is both safe and suitable for your specific system. 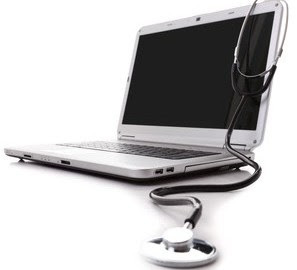 And, as the computer problems occur randomly, especially the virus infections, the software or the application sometimes may not fix the problems effectively. Taking the virus problems for example, some viruses, Trojans or other malware are well-designed with high tech by the hackers that they are stubborn and very difficult to be removed by the antivirus/antispyware software. And, we all know that the antivirus/antispyware applications are just like a robot, and they need human being and time to add the virus definition and update their virus signature database for detecting and removing malicious threat when a latest threat appears. Or, one more situation is that, the malicious threat may have the capability to disable or damage your antivirus/antispyware programs at the moment they sneak into your computers. So that’s why your antivirus/antispyware programs do not work to remove some stubborn malware threats. Wow, have talked too much! Hope you are not annoying with the solutions mentioned that seem to be able to fix your PC problems but may not. If you are still wasting so much time in dealing with your PC problems yourself with potential risk, or you are still taking much time to search for trusted applications one by one to fix your PC problems one by one, you are killing yourself actually! You are wasting your time and your money for non-efficiency. Why not forward your problems to someone who is really professional with profound expertise on fixing all kinds of PC problems? Sound great? Definitely YES! 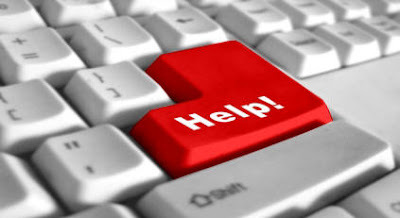 No matter what kind of PC problem you are encountering, you can get help immediately from an online tech expert. This will greatly save your time, as you don’t need to walk out of your room and just simply get all your PC problems fixed. And saving the time for fixing PC problems immediately is obviously critical to stop any further problems, errors or infections that may ruin your system. Having do so many survey these years, here just want to mention a trusted and award-winning online tech service named Tee Support which can provide professional online technical services for computer users 24/7 of all PC needs. Even if you have problems like virus attacks, driver update, errors popups, PC slowdown, programs removal, and many more, you can easily fix them with the assistance from Tee Support. It is a truly safe, trusted, effective and most cost-effective PC online tech support that you will like very much. Anyhow, save your computer, save your time and save your money in the best way! That’s a wise choice you should keep for your dear computer.